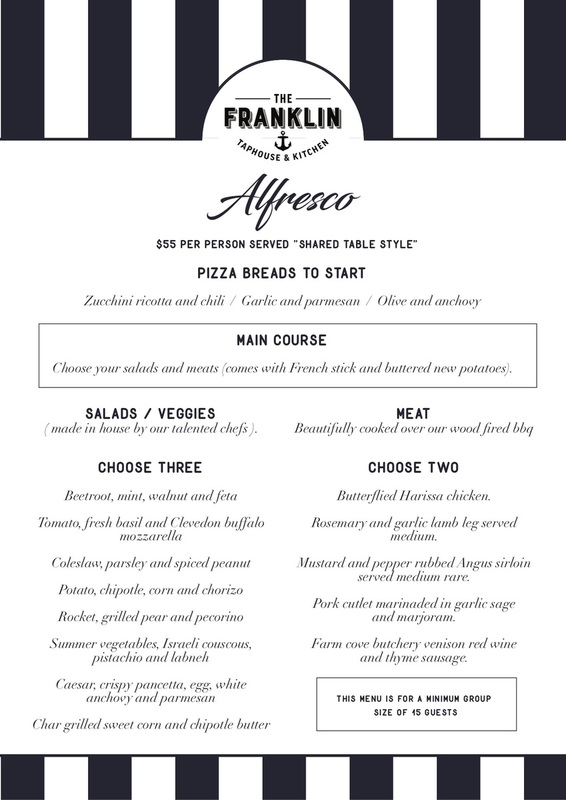 Want to have your function or event at The Franklin? We have three amazing spaces to choose from - or take the lot! The restaurant - suited for a quiet, sit down, more formal function. The bar - great for stand up, casual get togethers. The beer garden - a perfect space to enjoy alfresco dining & drinking with the option of your very own outdoor bar. 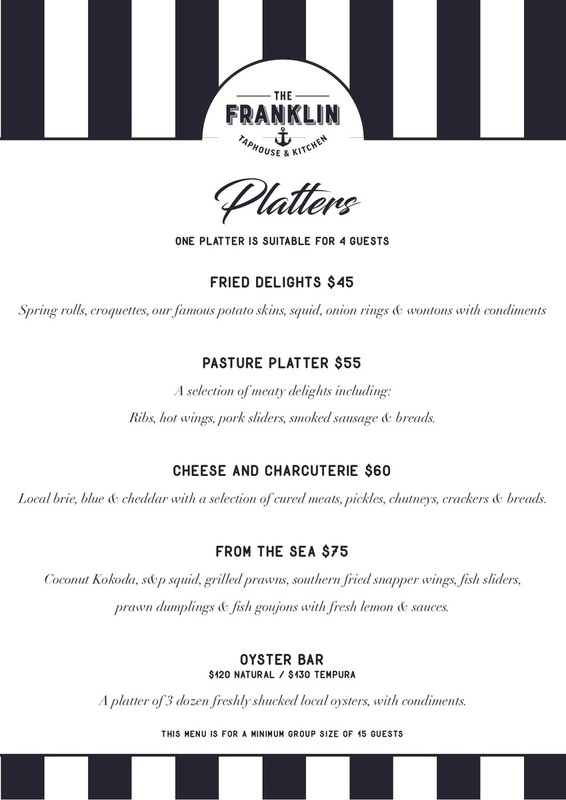 Check out this seasons menus below. Please note a minimum of 15 guests are required for all function menus. 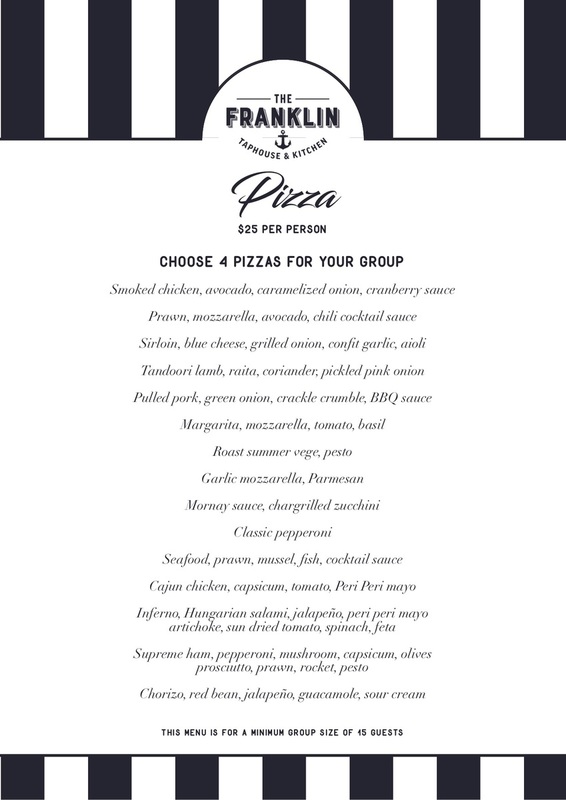 Any less please head to our BOOK tab and enjoy our standard menu which can be viewed on the KITCHEN tab. For further function enquiries email Clinton on clint@taphousegroup.co.nz or give him a call on 021908552. 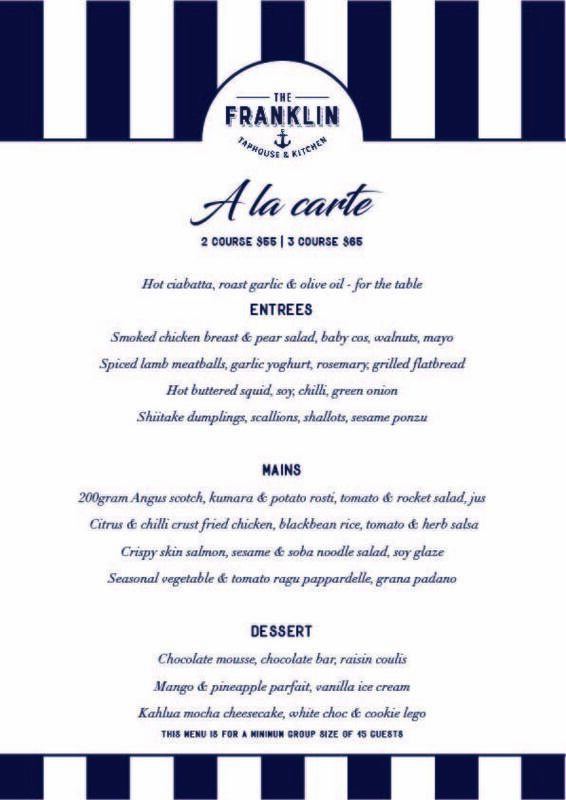 Please note - all guests must be 18 years + or accompanied by their parent/legal guardian to dine at The Franklin. We accept NZ Drivers License, NZ Passport or HANZ 18+ card only.